If you're an adventurous tourist, consider adding a Bolivia vacation to your travel itinerary. A land of rainforests, Andean glaciers, high altitude cities, and rushing rivers, Bolivia remains one of the most remote countries in the Western Hemisphere. With 60 percent of the population made up of indigenous peoples, native cultures permeate the country's music, architecture, and arts, as well as local folklore and traditions. Traveling in Bolivia you can experience diverse wildlife and ecosystems, learn about the country's rich history, try out its distinctive cuisine, and practice your Spanish with the locals, known for their clean and easy-to-understand accent. La Paz Department: A destination worthy of any Bolivia itinerary, La Paz boasts some of the country's standout attractions, including the steep slopes of the Andes. Potosi Department: Mostly barren, the country's southwesternmost department is home to the world's largest salt flat. Santa Cruz Department: Bolivia's largest and richest department has no shortage of tourist attractions, including pre-Incan sites, religious buildings, and national parks. Cochabamba Department: Known for spring-like temperatures year-round, Cochabamba features the country's most fertile lands. Tarija Department: Home to the constitutional capital (and one of the nation's most beautiful cities), this region offers plenty of Bolivia vacation ideas. La Paz: The world's highest capital city figures on many Bolivia itineraries, with its iconic public transport, traditional architecture, parks, and trendy hangouts. Uyuni: A desert outpost surrounded by emptiness, this city of little more than 10,000 people is the gateway to the world's largest salt flats. Santa Cruz: One of the world's fastest-growing cities, Santa Cruz reveals a mixture of traditional and modern living, where horse-drawn carriages share the street with SUVs. Copacabana: A long-established center of religion and faith dating back to Incan times, Copacabana is also home to the country's largest settlement along the shores of the continent's largest lake. Sucre: Adding Sucre to your Bolivia trip takes you to the country's constitutional capital, featuring scores of buildings dating back to the city's founding days. Salar de Uyuni: Sitting at 3,653 m (11,985 ft) above sea level, the world's largest salt flat remains one of the top places to visit in Bolivia. Yungas Road: The unguarded edges of what many consider the world's most dangerous road provide stunning views as you travel between La Paz and Coroico. Isla del Sol: Featuring more than 80 Inca ruins spread across 70 sq km (27 sq mi), this rocky island--void of roads and cars--stands out as one of Lake Titicaca's highlights. Mi Teleferico: The world's longest cable car system, this gem of public transport gives you a heady view of La Paz. Valle de la Luna: Include an otherworldly experience in your trip to Bolivia, traversing stairways and paths carved into rock formations. Lake Titicaca: The continent's largest lake, this sapphire body of water sits at 3,808 m (12,493 ft) above sea level between Bolivia and Peru. Tiwanaku: Former seat of the Tiwanaku empire, this pre-Columbian site offers insight into the country's ancient past. Train Cemetery: A reminder of Uyuni's past, this collection of trains and locomotives unexpectedly appears 3,656 m (11,995 ft) above sea level, at the edge of the desert. Biocentro Guembe Mariposario: Add the sight of rare birds and exotic insects to your Bolivia itinerary with a stroll through these lush gardens, dedicated to the country's wildlife. Iglesia de San Francisco: Dating back to the 16th century, this excellent display of craftsmanship features Mestizo-Baroque stonework on the outside and a collection of paintings on the inside--usually accessible only on organized tours. Among the highlights of a vacation in Bolivia is the chance to taste the country's cuisine. Stemming from a mixture of Spanish and indigenous--particularly Aymara--traditions, local cuisine has also absorbed flavors brought by immigrants from around the world. Majadito is a traditional dish in Santa Cruz and Beni, made from rice, meat, eggs, and fried bananas. Typically found in Sucre, mondongo features crispy fried pork accompanied by chili sauce, corn, and potatoes, often enjoyed with a cold beer. Meat-lovers shouldn't miss "choripan," a chorizo-filled sandwich often served as an appetizer and during sporting events. Local markets throughout the country's cities and towns give you plenty of opportunity to do some local shopping during your holiday in Bolivia. Most tourists in La Paz flock to Witches Market, with an abundance of herbs, amulets, and other magical items. Head to Sucre's markets to stock up on their renowned textiles: scarves made from llama and alpaca wool, sweaters and socks, plus a whole other range of products such as belts, ponchos, and bags. 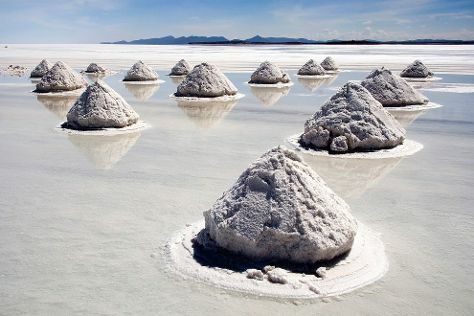 ●	Bolivia is a land of superlatives, with the world's highest administrative center, longest cable car system, largest salt flat, most dangerous road, and largest butterfly sanctuary. ●	The country has over 30 official languages. ●	Some people in Bolivia live as high as 3,048 m (10,000 ft) above sea level--an altitude at which airplanes fly. ●	The country has two national flags. ●	Lake Titicaca, partially shared by Bolivia, lies 3,812 m (12,507 ft) above sea level, making it the world's highest navigable lake. You can generally expect to find this South American country full of warm and friendly people. That said, keep in mind just a couple of things to avoid during your vacation in Bolivia. Do not use the word "indio" to describe indigenous people, as locals find it offensive. Another sensitive issue is the population's division into two broad categories of people--Cambas in the east and Collas in the west. Each is defensive about their side of the country, and may take offense at talk about travel to the opposite side. From traditional to modern, a vacation in Bolivia offers the chance to experience a range of festivities. Celebrations dedicated to religious figures happen nearly every month, with some of the best events in La Paz and Sucre. The month-long Alasitas Festival starts at the end of January in La Paz, with locals paying tribute to the god Ekeko by with offerings of miniature items. Fiesta Del Gran Poder is another of the city's significant gatherings, paying homage to Jesus Christ. In September Sucre honors its patroness, the Virgin of Guadalupe, with upbeat music, mouthwatering food, and dancers in vibrantly colored costumes filling the streets. The entire nation celebrates Semana Santa, the week leading up to Easter Sunday, with gatherings taking place across the country. Bolivians often greet with a firm handshake accompanied by eye contact. Not maintaining eye contact during the course of a conversation may make you appear untrustworthy. With informal relationships, Bolivians may pat each other on the shoulder or hug. Women sometimes greet each other with a kiss on the cheek. Greetings vary according to the time of day: "buenos dias" (good morning), "buenas tardes" (good afternoon), and "buenas noches" (good evening). Locals will appreciate your efforts in using these phrases during your trip to Bolivia. In contrast to many cultures, Bolivians use both their maternal and paternal surnames. Usually the father's surname is used to refer to someone during a conversation, rather than the person's first name. Bolivia's climate is as varied as its topography, so the weather you experience during your tour of Bolivia depends on where you go. Things remain generally cool all year round in La Paz, due to its high altitude. Warm clothing is advised whenever you visit the country's west--temperatures here average between 15 C (59 F) and 20 C (68 F) year-round and commonly drop to freezing during the night. May to October are the best months to travel to the west: despite cooler weather conditions, less precipitation means fewer inconveniences, making this the high season of tourism here. Meanwhile, hot and humid conditions prevail in the low-lying lands of the east. Temperatures average at 30 C (86 F) with significant rainfall. Your best bet for a trip to Bolivia's east is during May: with less rain due to dry winds, you can expect clear blue skies during most of your visit. Tipping in Bolivia is left to the discretion of each individual. Some hotels and restaurants add service charges, on top of which you can tip between five and ten percent. With regard to transport, unless you hire a driver for the day, they don't generally expect a tip. A ten-percent tip will suffice if you hire a taxi for the day.